What a lovely post! And the picture is priceless! I learned from my Grandmother that staying in contact with younger people is better than always hanging out with the old people….she couldn’t wait to be around us grandkids! I just saw my 80+ Mom today. 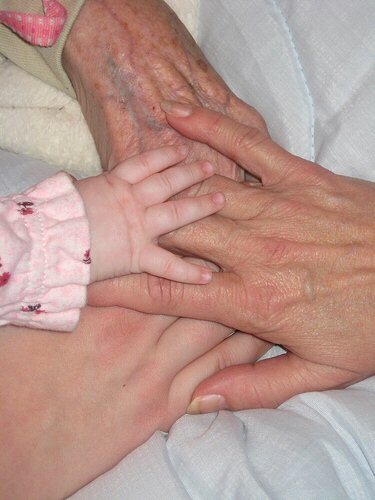 4 generations rock. Aren’t we blessed?